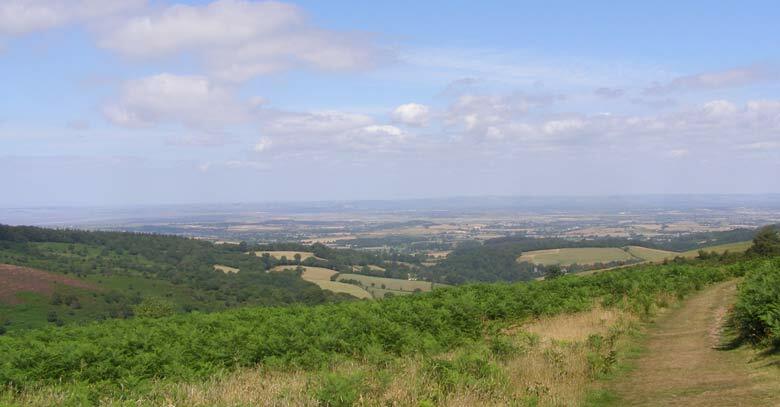 The Quantock Hills were Britain's first designated Area of Outstanding Natural Beauty, I hope to show you why they richly deserve this status through my photos on this page. 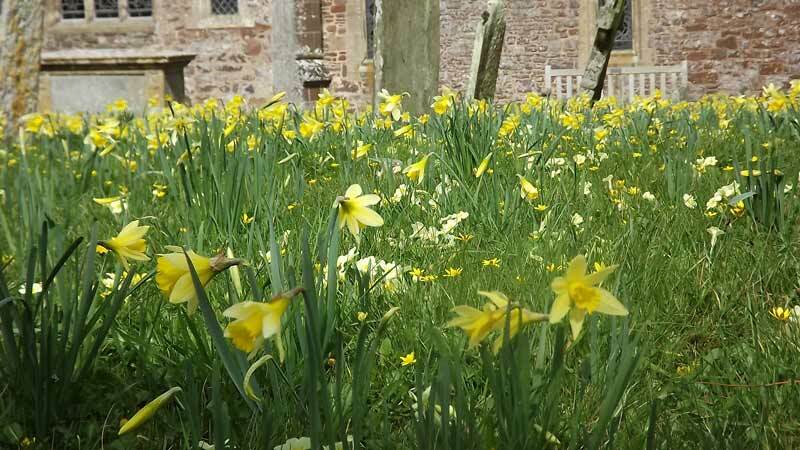 Over Stowey churchyard as pretty as a picture with daffodils and primroses! 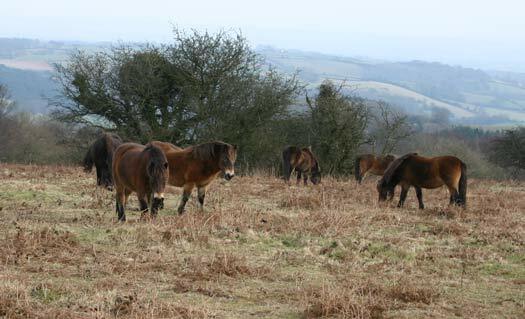 To maintain the vegetation there is a herd of Exmoor Ponies on Cothelstone Hill, above Bishops Lydeard. 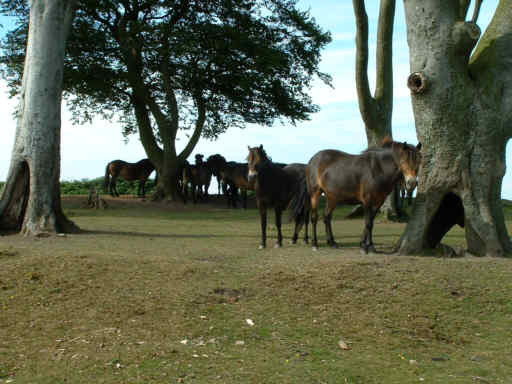 They are seen here sheltering under the trees known as Seven Sisters. 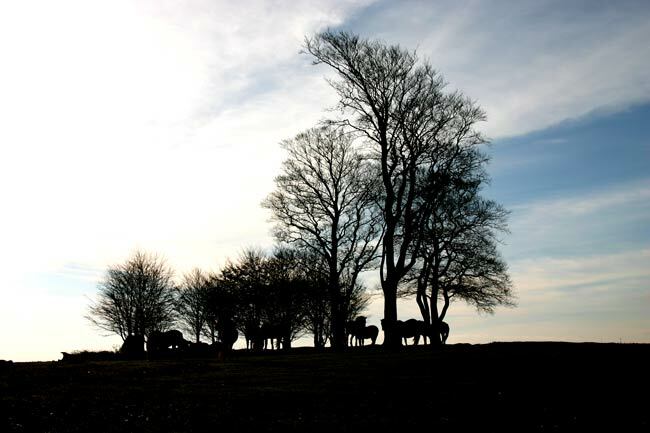 The old and new trees at Seven Sisters silhouetted against a sunny November sky, some of the ponies were grazing beside them. 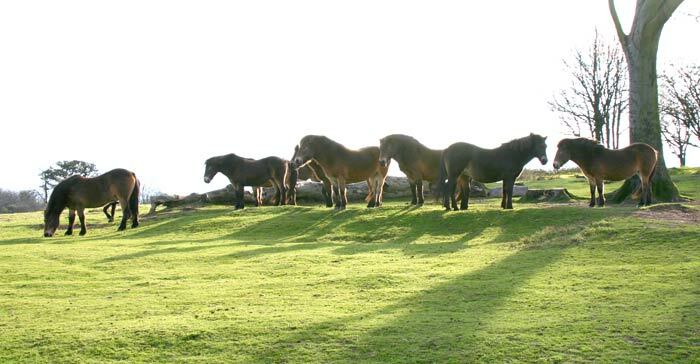 The ponies seemed more interested in the view than the grass, they are hardy animals that can thrive on comparatively poor grazing. 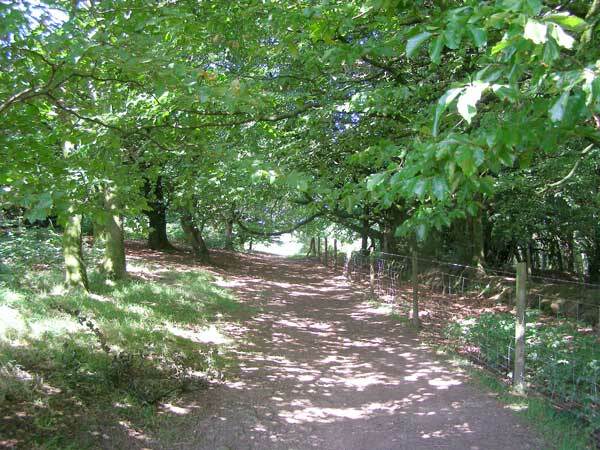 The trees seen from the other side lit by the autumn sun. 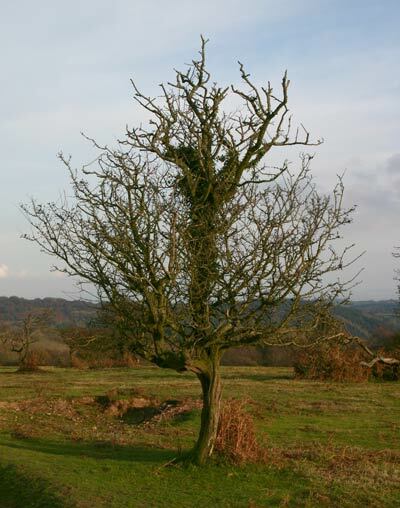 As the original trees have neared the end of their lives a new group, on the right, was planted, they are now well established and only three of the originals remain. 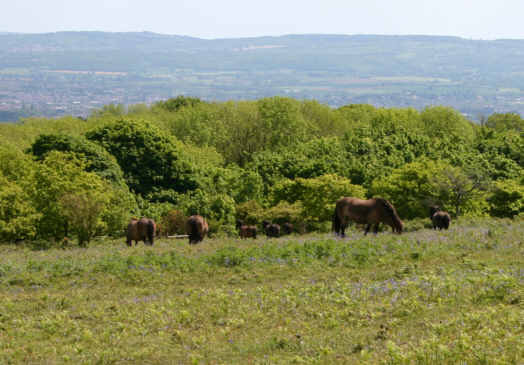 Another view including the ponies, this time looking away from Seven Sisters and out over Taunton in May 05. 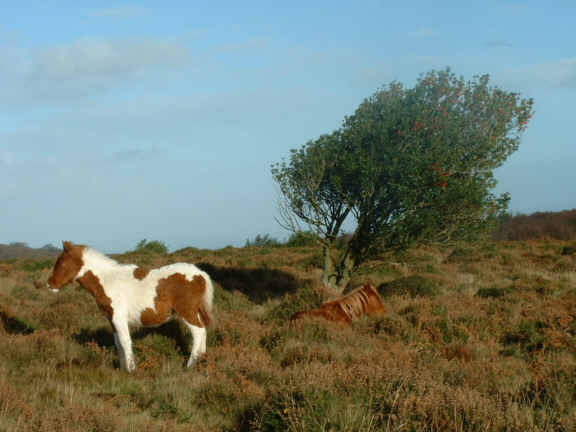 In March 06 the ponies were near the site of the above photo, the difference in vegetation is all the more marked due to the lateness of spring in 2006. 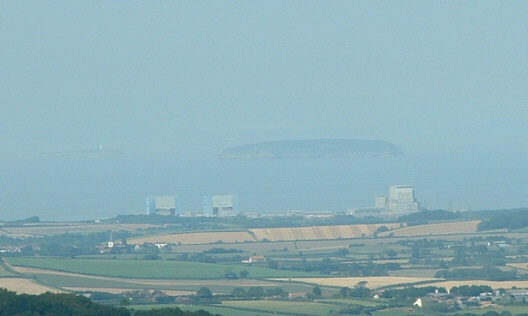 The island of Steep Holme seems to float in the mist above Hinckley Point power station on the coast below the Quantocks. 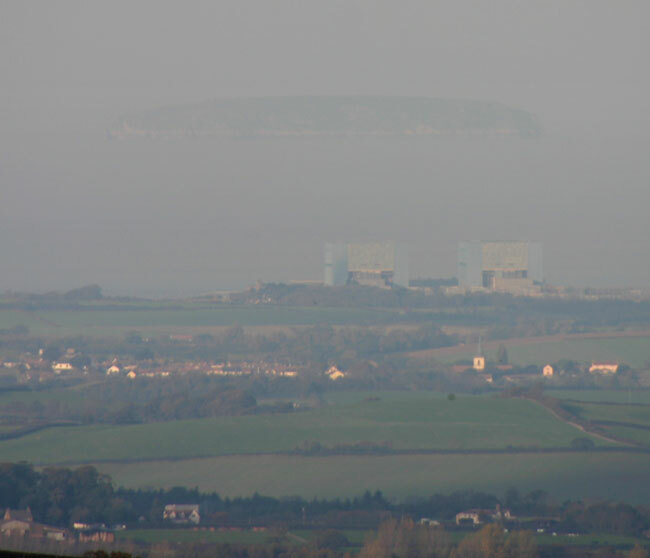 Not only did the mist make the island seem nearer than usual but is also seemed much larger. 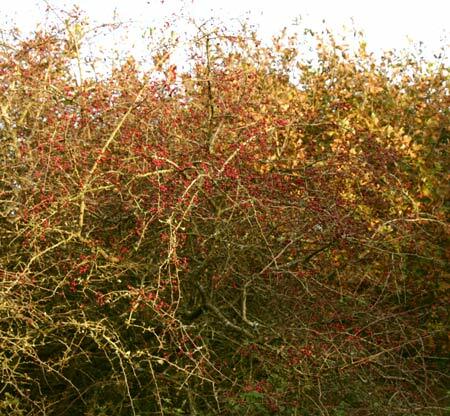 Some autumn scenes near Seven Sisters, while one tree was bare others were laden with berries. 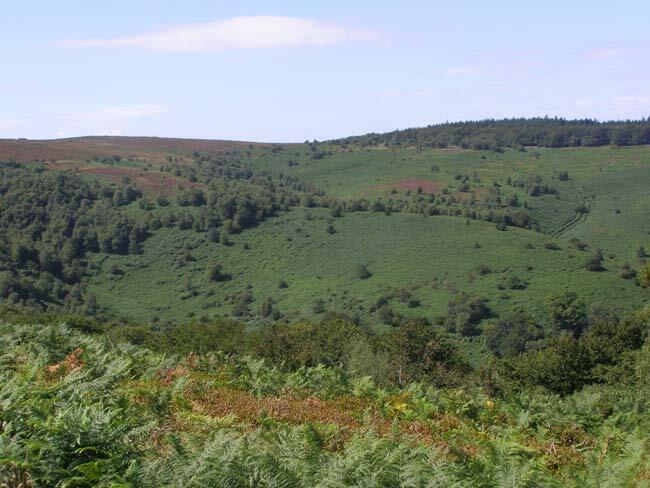 Bracken dying back in autumn with a wooded hillside beyond, whatever the season there are scenes to please the eye all over the Quantocks. 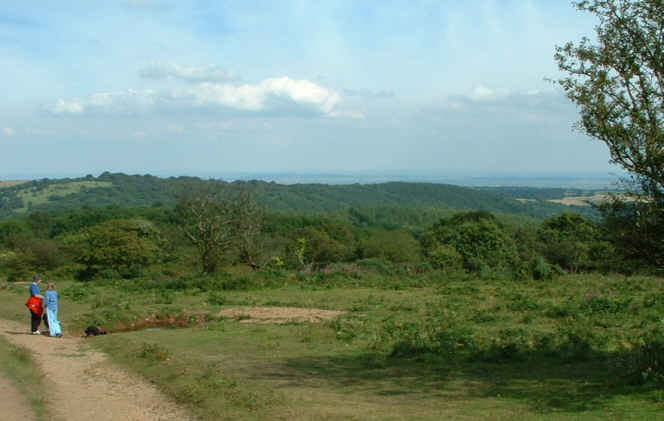 Just down from Seven Sisters I spotted this view with the Blackdown Hills visible through a gap in the trees. 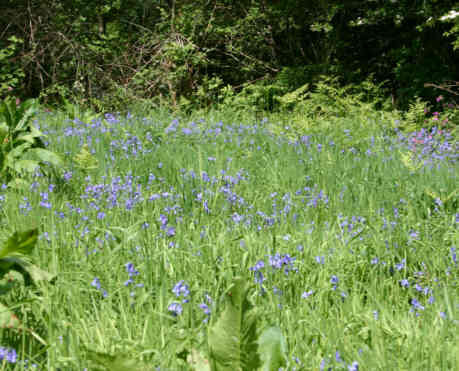 In late May 2005 there were bluebells everywhere around Seven Sisters. 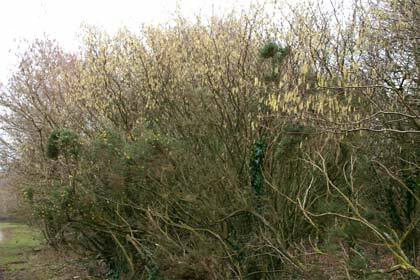 In March 2006 it was catkins that were much in evidence. 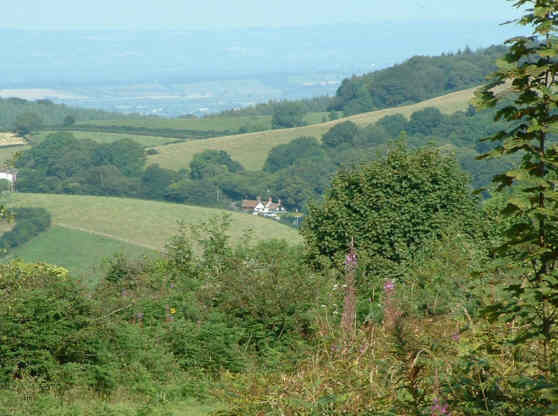 Turning the other way there is a view down into the valley between the Quantock and Brendon Hills, this view is looking down on Bishops Lydeard. 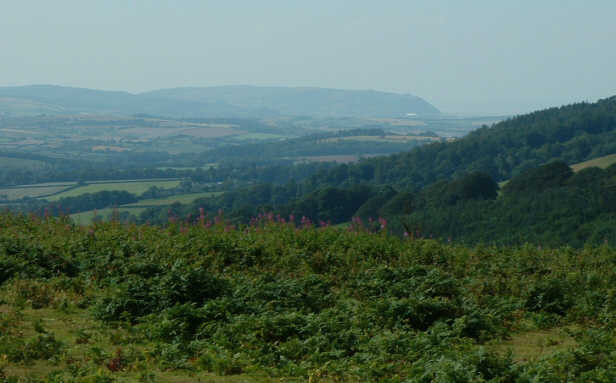 Looking along the the valley Minehead and North Hill are visible in the distance, Butlin's can be picked out by the white tops of part of its site. 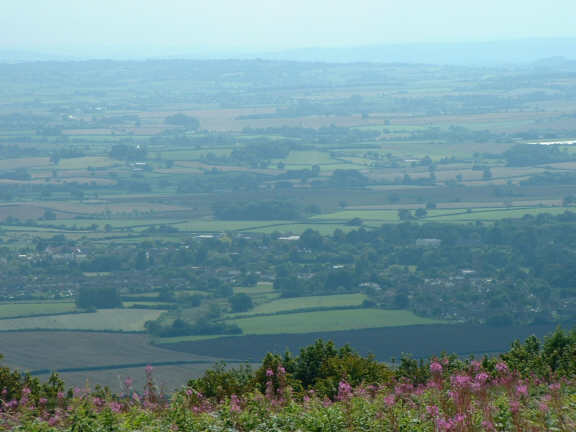 This view looks east from Cothelstone, the Mendip Hills can be seen in the background and Bridgwater is visible on the valley floor. 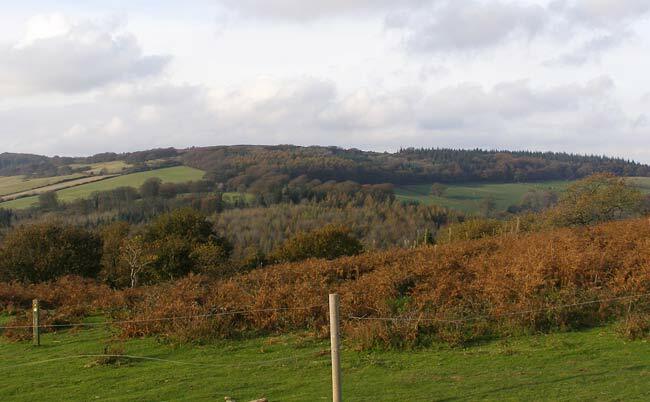 Taunton is hidden behind the tree covered ridge in this view, the Blackdown Hills can be seen in the background. 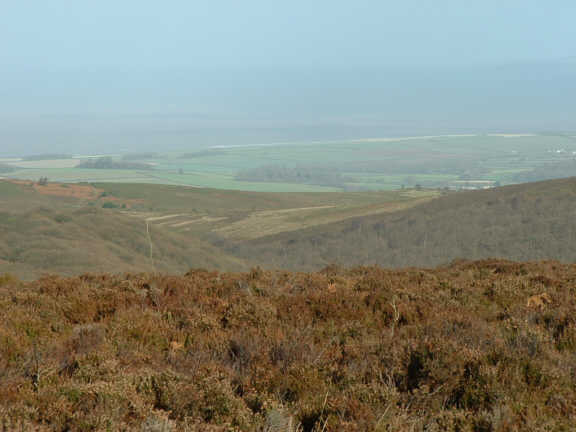 The high points on the Quantocks offer views over a vast area, on clear days well across into South Wales as well as to the high points of Dartmoor and Exmoor. 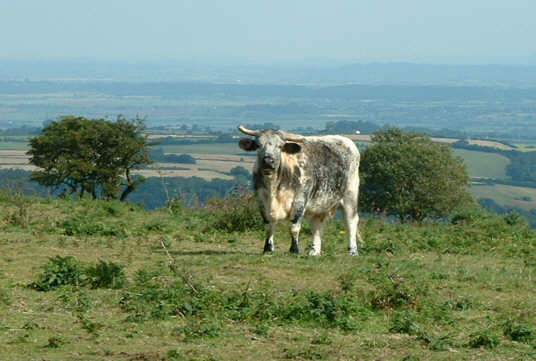 As well as ponies the managed grazing includes some Longhorn cattle such as this one with the Vale of Taunton Deane in the distance behind him. 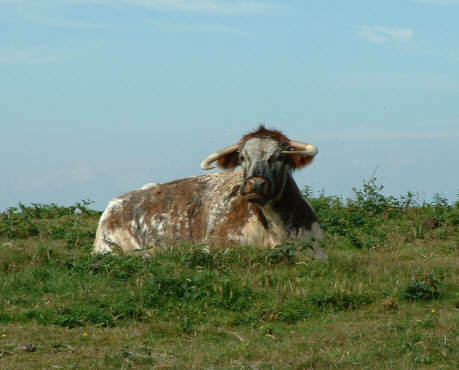 Another Longhorn sitting out the heat of the day on top of the ridge. 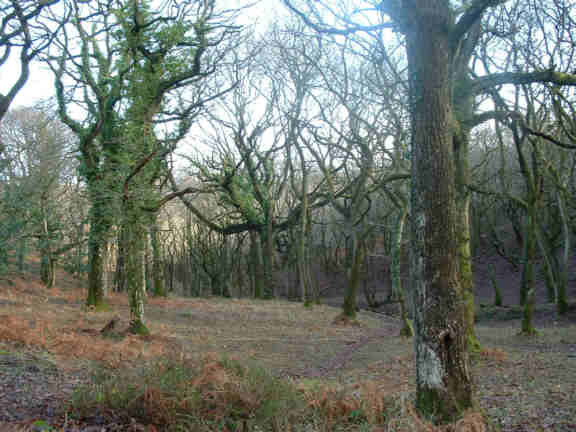 Wild red deer also live on the Quantocks but are somewhat harder to spot, one day this winter we saw 18 in the trees near here but didn't have a camera with us that day. 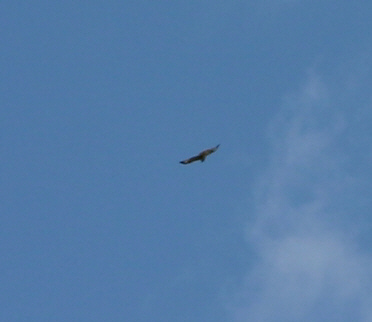 A buzzard circling over the top of Cothelstone Hill. 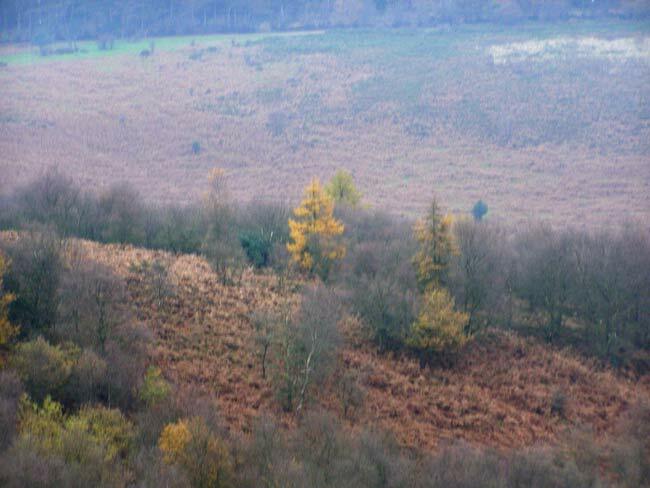 A house nestling between the hills, lovely setting. 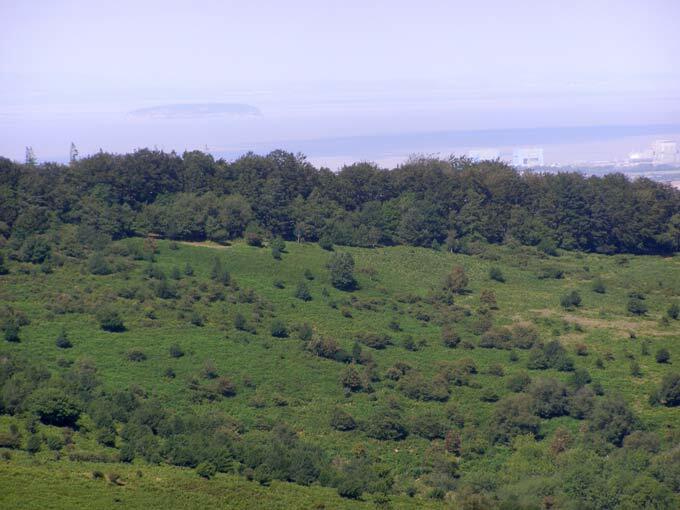 The view out over the Bristol Channel with the islands of Steep Holm and Flat Holm visible through the haze. 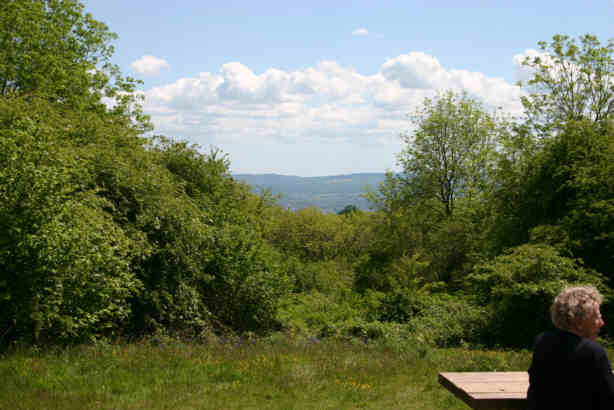 On a clear day you can see Brean Down, at the tip of the Mendips and the Welsh coast from here. 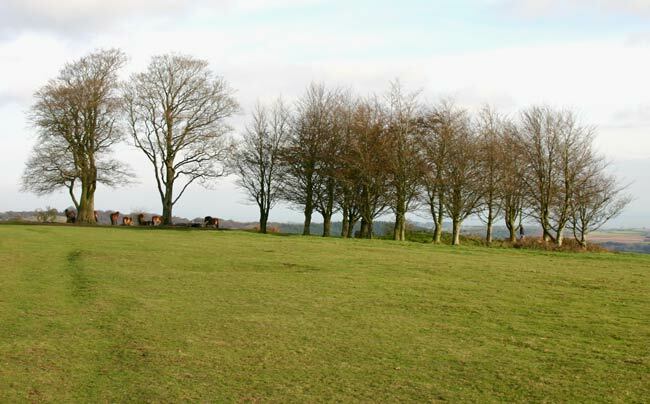 A final view on Cothelstone Hill showing the ponies sheltering under the Seven Sisters trees. 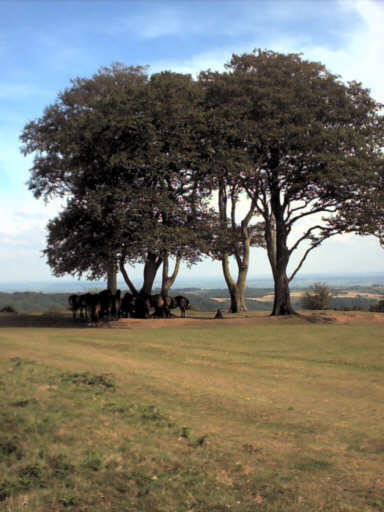 Some free ranging Quantock Ponies by a holly tree near Dead Woman's Ditch, on the top of the hills. 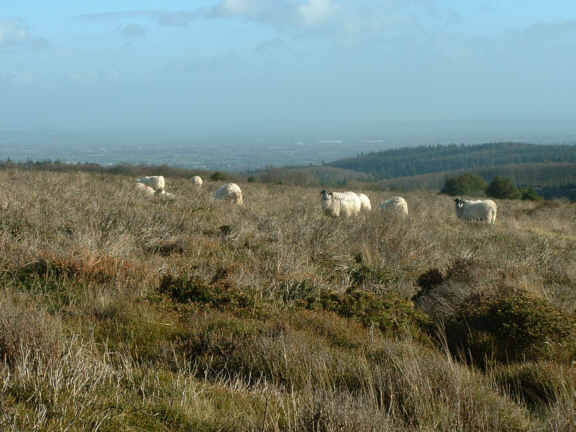 Nearby were these sheep, with Bridgwater vaguely discernable in the background. 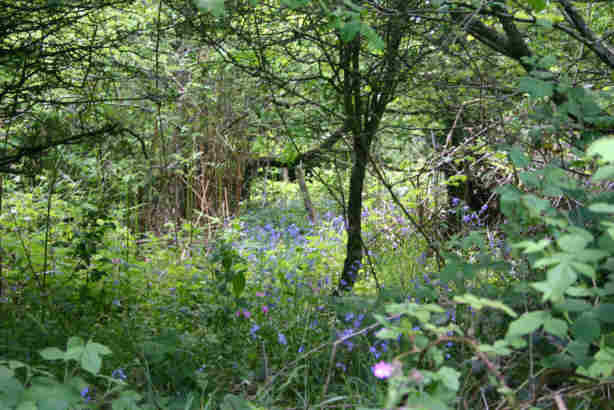 A third view from Dead Woman's Ditch, this time looking towards the sea. 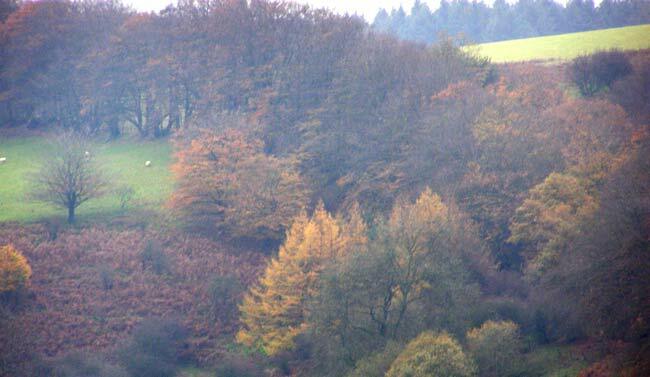 A couple of autumn views around Bagborough Hill. 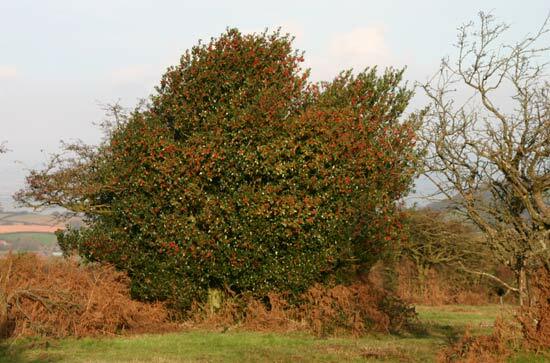 Two views of the same location, on the left in November, on the right August, you can see a curved branch in both to link them. 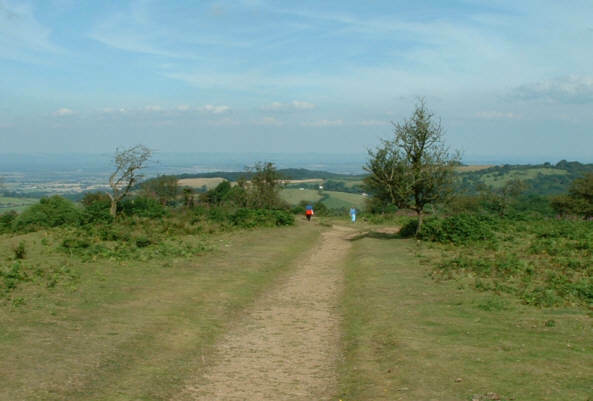 Some views taken on Lydeard Hill in August. 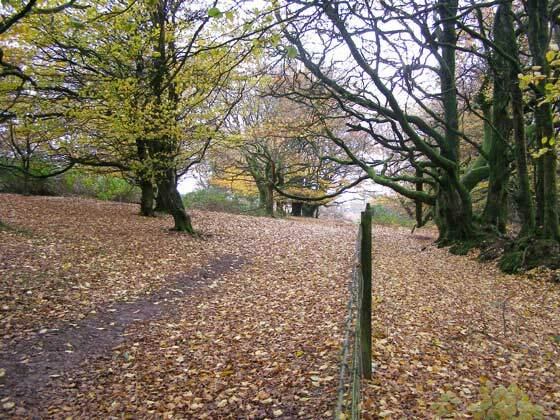 Dropping down towards the coast my wife spotted this autumnal scene. 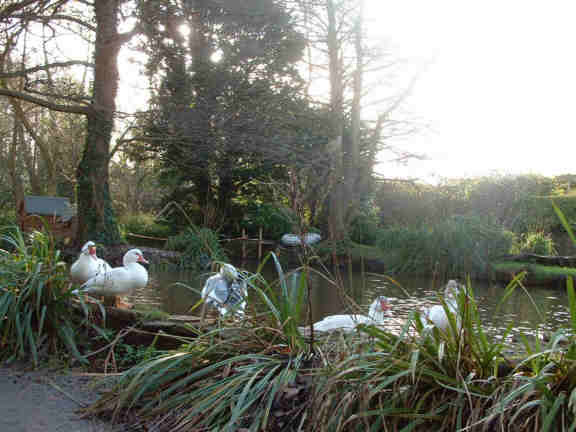 On the way down to the beach at Kilve you pass the village pond with its resident family of ducks. 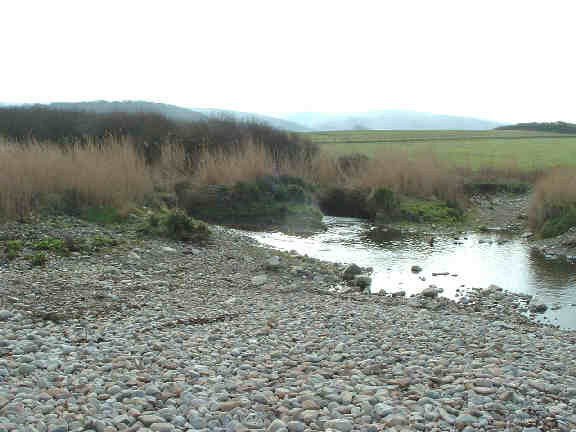 The stream from the pond passes through a reed bed before emerging on to the shingle beach. 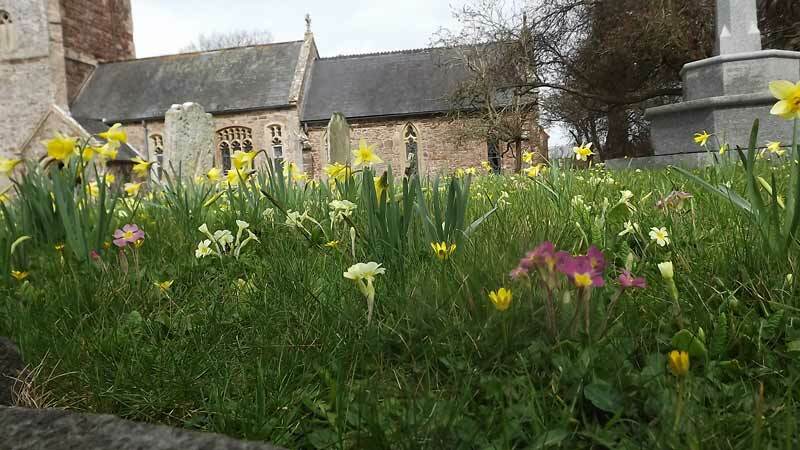 The stream spreads across the shingle on its way to the sea. 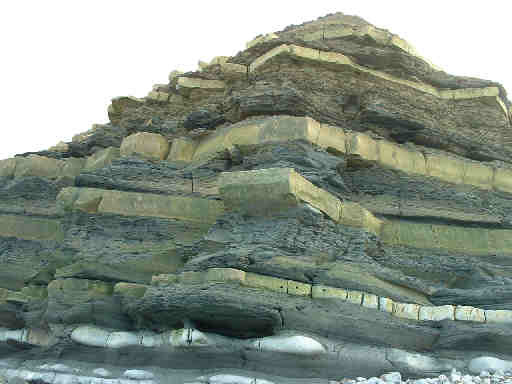 The cliffs here are of layers of shale separated by limestone, you can see here how the soft shale is eroded undermining the harder limestone. 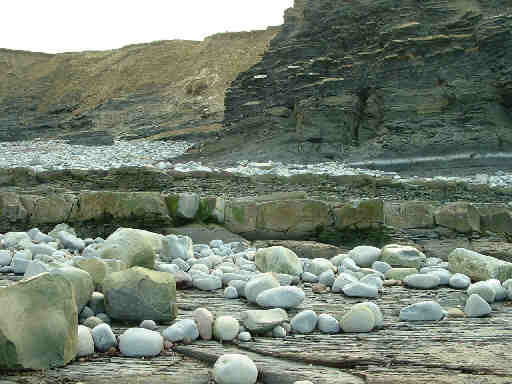 At the top of the beach the limestone layers remain with the shale washed away. 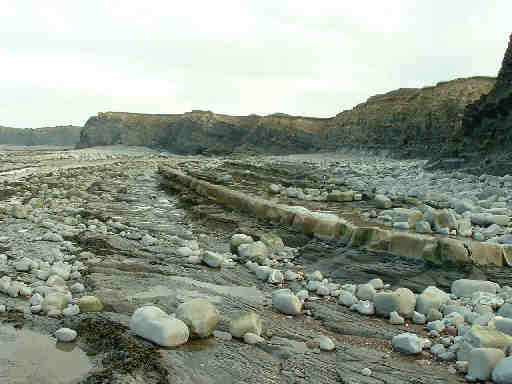 Looking up the beach at the step effect created by erosion. 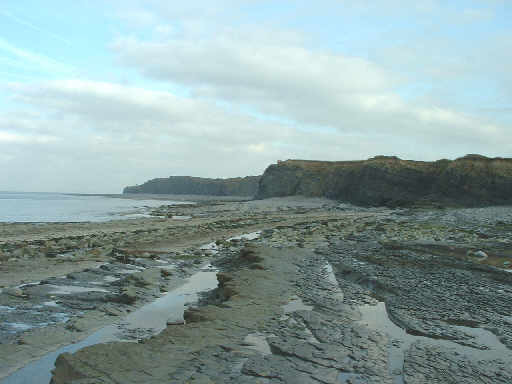 Looking west along Kilve beach towards Watchet and Minehead. 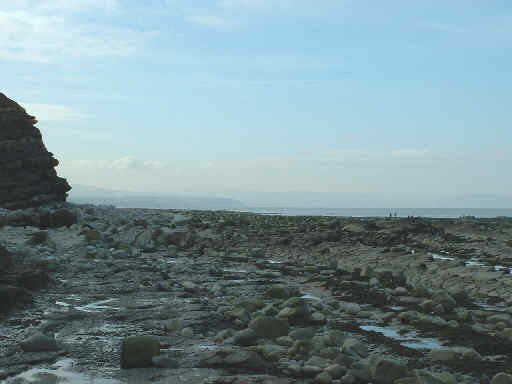 Looking west the view is more limited. 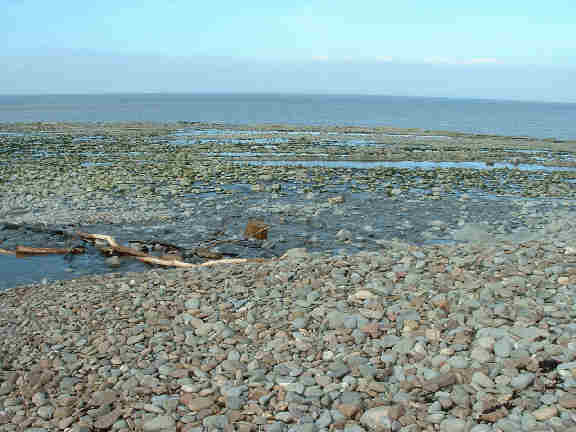 Incidentally we had stayed up on the rocks rather than going down on the shingle to explore the rock pools for marine life - which was sadly lacking on this occasion. 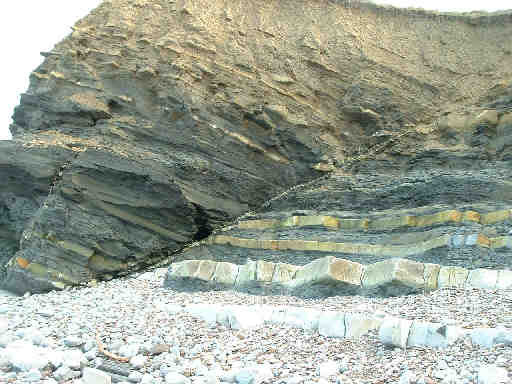 There are several fault lines in the cliffs, such as seen here, which often offer a weak spot that the sea exploits. 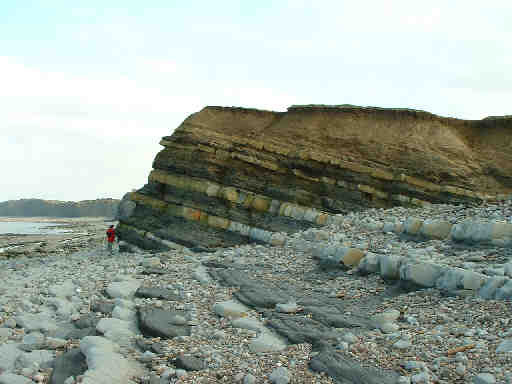 A last look at the cliff showing the continuation of the limestone layers across the beach. 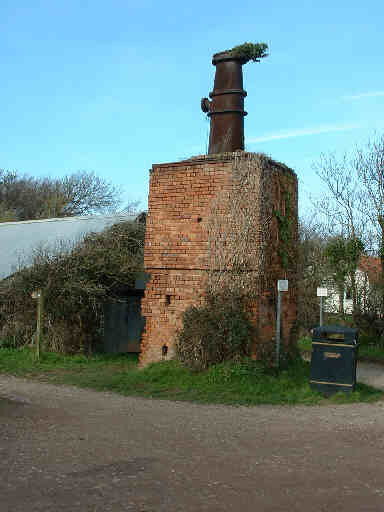 In 1916 it was found that the shale at Kilve contained oil, in 1924 Shaline Ltd built this retort to extract it. 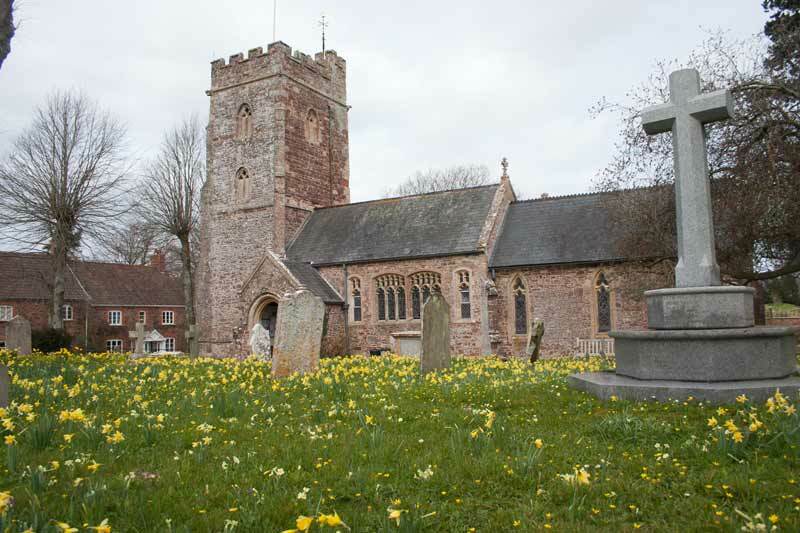 Perhaps fortunately for the scenery this proved to be uneconomic and the project was soon abandoned. 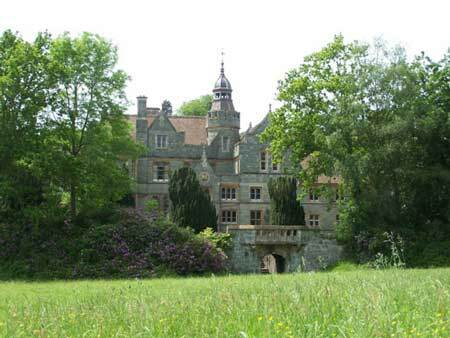 Quantock Lodge is a grand house that for many years was a school but is now used for training courses and so on.